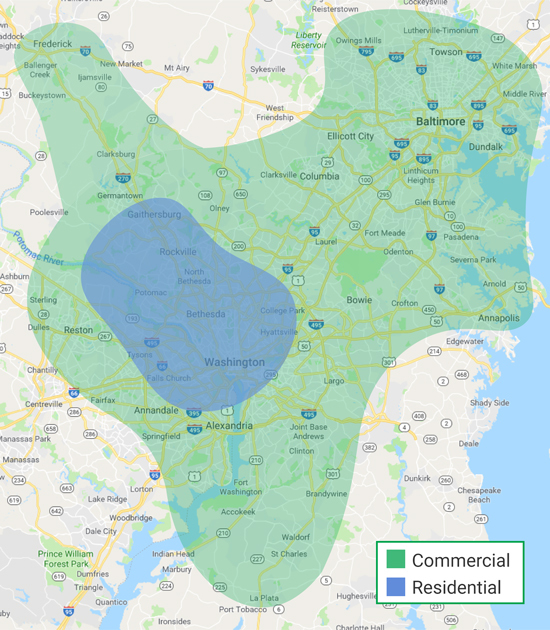 Headquartered in Montgomery County in Maryland, GreenSweep's service area extends to commercial and residential properties throughout DC, Maryland, and Virginia. Please review our service area map, and contact us with any questions. We look forward to working with you.